I welded in the outer dogleg panel this evening along the top edge and the edge in the door sill. 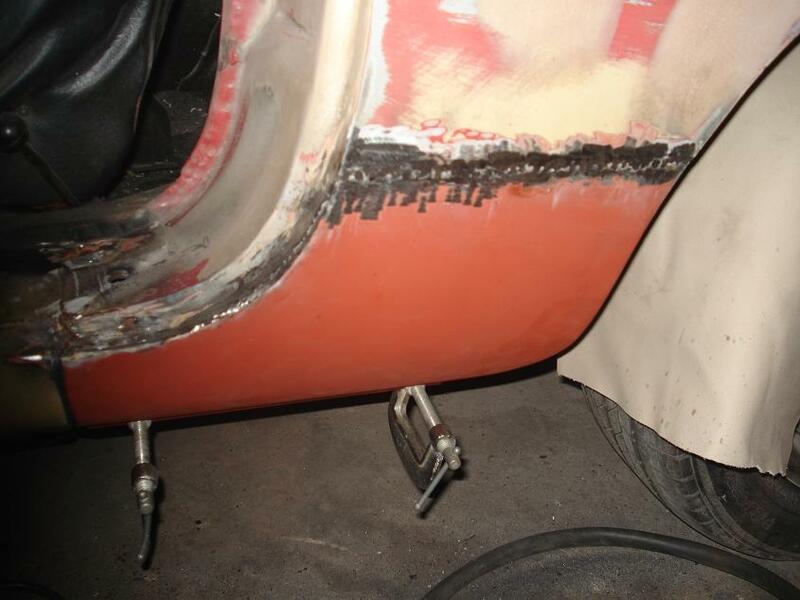 Over the weekend, I will weld along the bottom edge from the back to keep the outer edge pretty. Once that welding is done, finish work can begin. This is the best welding I have done so far. I think there are two things to attribute this to. 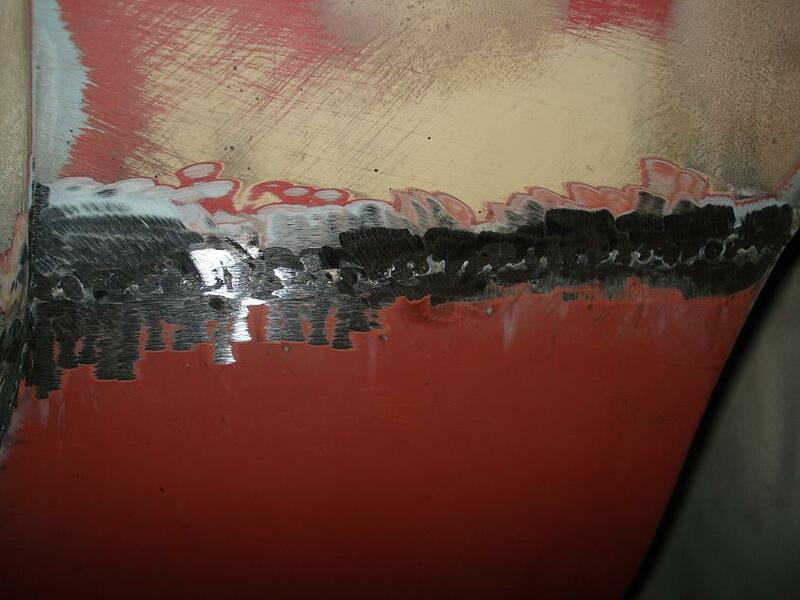 First, both the existing body metal and the repair panel are a heavier gauge metal than some of the other repair panels, so it didn't burn through easily. Also, I ran out of welding wire and had to buy new wire which apparently is a better quality and worked much better. If I could afford a better MIG welder, I'm sure I could do even better.